The only certain way to unwind after the holidays was to catch Moses Hightower performing at Húrra on the first post X-mas workday, December 29. Known for their skilful playing, soothing voices and advanced compositions, they sure knew how to finish 2015 off with a nonchalant evening of soulful revelation and relaxation. 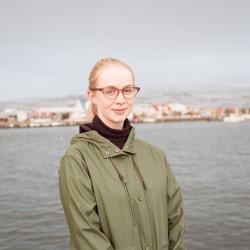 They performed some of their most popular songs like “Sjáum hvað setur” and “Háa c” (which was named Song of 2102 at the first ever Reykjavík Grapevine Music Awards) along with new stuff from their third upcoming album, Snefill. There was something really fresh about the new songs performed; they had a kind of tropical breeze to them, which proved really comforting especially on such a stormy winter evening. The atmosphere was both relaxing and thrilling at the same time as the band performed in complete ingenuousness, making the audience feel like they were right in the band’s living room rather then at the venue.